What is a Conex Box? Conex Boxes are also known as shipping containers, and are the cargo containers that allow goods to be stored for transport in trucks, trains and boats, making intermodal transport possible. They are typically used to transport heavy materials or palletized goods. Conex Boxes are used to protect transported cargo from shock and bad weather conditions, as well as keep storage products intact. They were first used in the 1950s and were initially developed for the purpose of commercial shipping. Depending on the type of product that is going to be sent, the Conex box can vary in dimension, structure, material, etc. Characteristics of these shipping containers were later standardized, something that expedited transport without the need to load and unload the merchandise along the way. 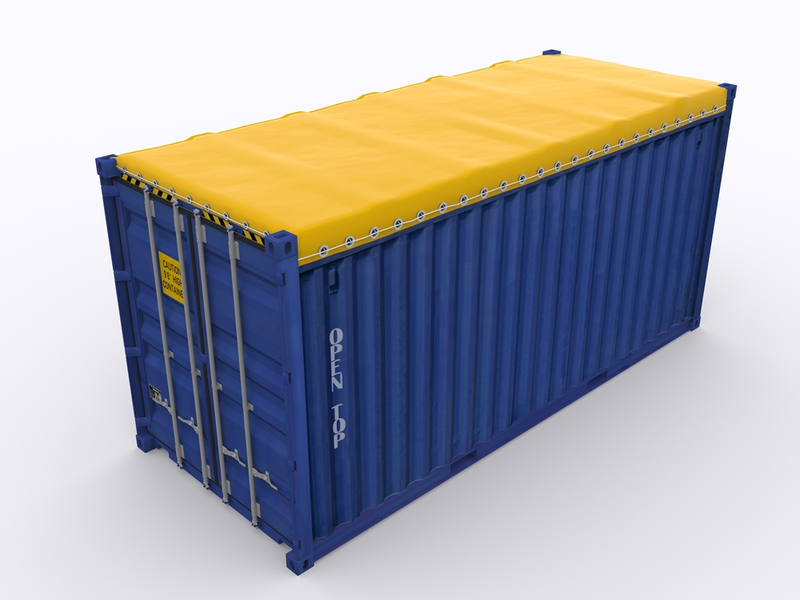 Conex Boxes are another name for the standard shipping containers most used on the market. Conex Boxes are typically suitable for any type of dry cargo: pallets, boxes, bags, machines, furniture, etc. 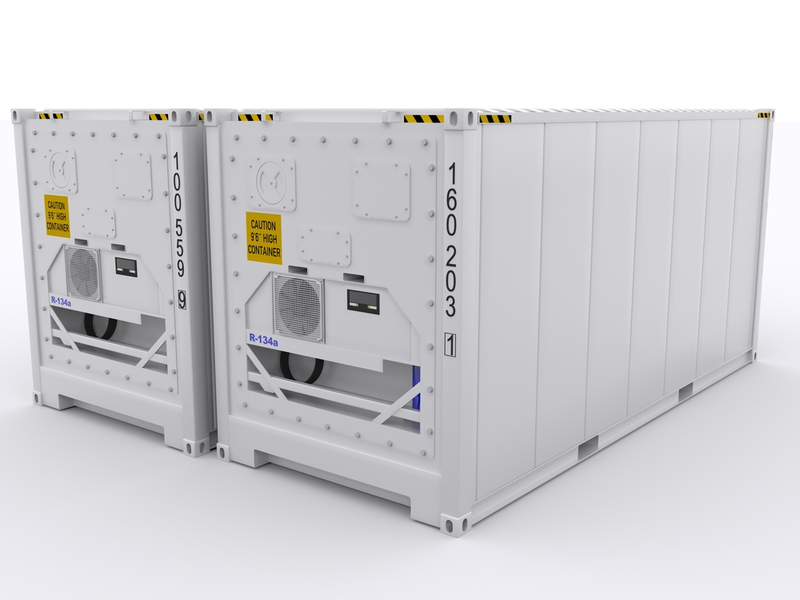 Reefer Conex Box containers provide a temperature controlled environment. They have a power supply that connects to energy sources during transport. This allows the products to be transported at a constant temperature throughout the journey. They have the possibility to lower temperature from -18 ° to 30 °. There are 20 and 40 foot models, in addition to the High Cube. This type of Conex Box container is especially recommended for transporting food or products that need a low storage temperature. Open Top Conex Box containers have the same measurements as the standard containers, but are open at the top because they have a removable canvas roof. These containers facilitate the transport of bulky loads. Flat Rack Conex Box containers are like the Open Top, but also lack side walls and even, in some cases, front and rear walls. They are used for atypical loads and pay supplements in the same way as Open Top. 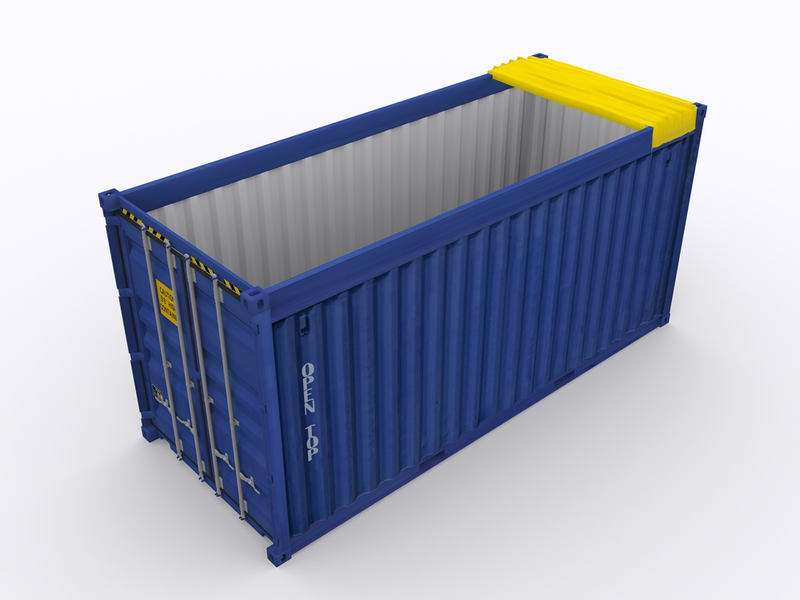 Open Side Conex Box containers have the same measurements as standard containers; 20 or 40 feet, with the difference that they have a side opening. This allows for transporting very long merchandise, whose dimensions prevent it from being loaded by the back door. 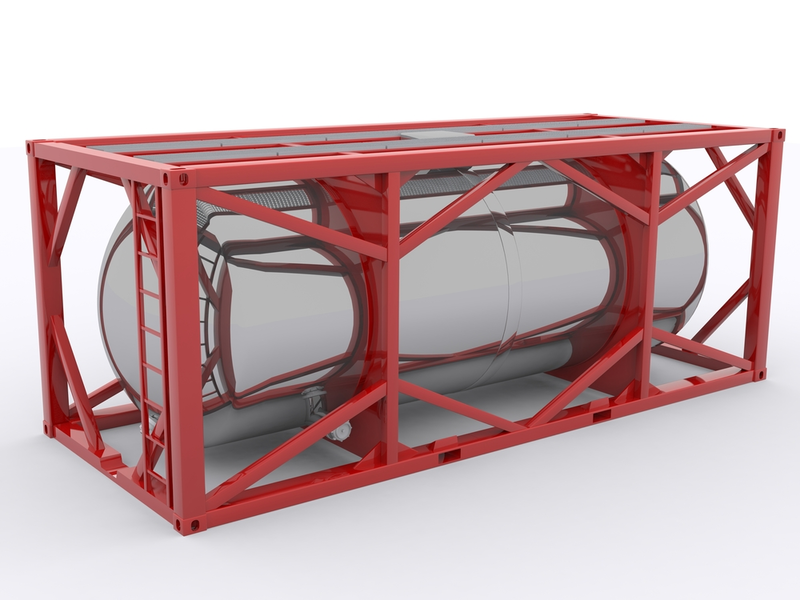 Tank Conex Box containers are used for the liquid transport and made to carry dangerous as toxic, corrosive, highly combustible chemicals, as well as oil, milk, beers, wine, mineral water, etc. They have the same dimensions as a Dry Conex Box Containers, but their structure is different, as they include a polyethylene tank inside. Ventilated Conex Box containers are made for transporting products such as coffee or cocoa beans, which must be ventilated in transit; sometimes these units are called “coffee containers”. Choose which companies have a good track record of excellence and reputation. Read reviews and what other customers have to say. If you are shipping from various locations, check for availability if containers can be delivered to your required areas. If money matters, you can find used container resellers online that might be able to offer half the price on used containers. If you plan to order often, you might want to check for good customer service. 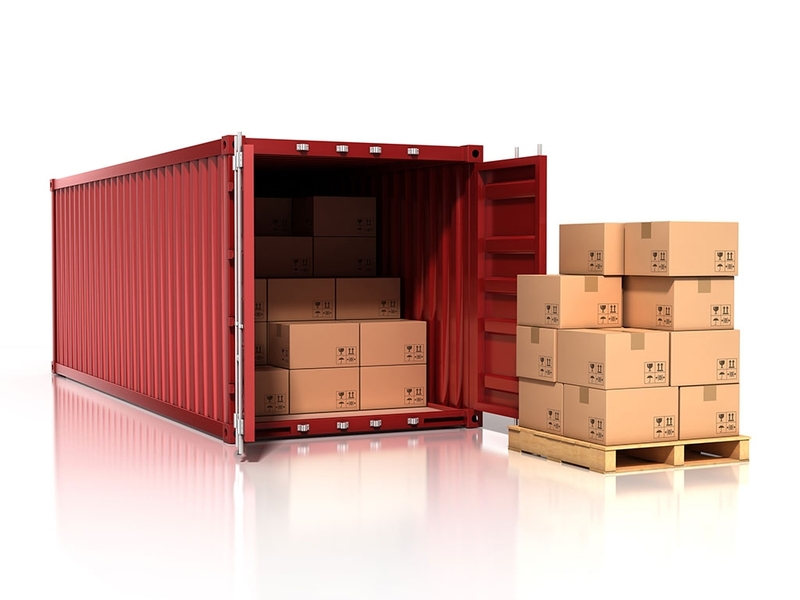 Ask potential container companies a question through email or their online customer service. See how fast they respond. Check with companies to see if they offer any warranties or buy back or trade in plans. There are millions of Conex Boxes in use around the world, and a lucky few get a second life as repurposed shipping container structures. While they look a bit plain and boxy to the untrained eye, shipping containers play a critical role in our lives, whether embarking on ocean crossings to deliver the goods we use every day or venturing into a second life as a container structure. Conex Box shipping containers can be safely stacked nine-high. Well-maintained Conex Box shipping containers hold 759, of their original value for 25+ years. 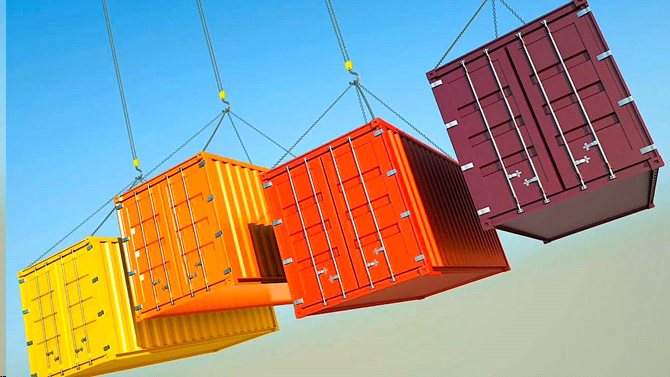 There are over 37 million Conex Box shipping containers in use around the world. A Conex box floor can hold up 55,000 lb. of goods without warping. Conex Box flooring is made of 1-1/8” marine grade plywood. Most Conex Box containers are 20 feet or 40-feet long. Conex Box shipping containers are made of 16-gauge corten steel. Common container modifications include: personnel doors, windows flooring, shelving, work stations, insulation, climate control & even restrooms. Conex Box shipping Containers are not just used for cargo these days. There are many innovative and imaginative uses you may like to consider. 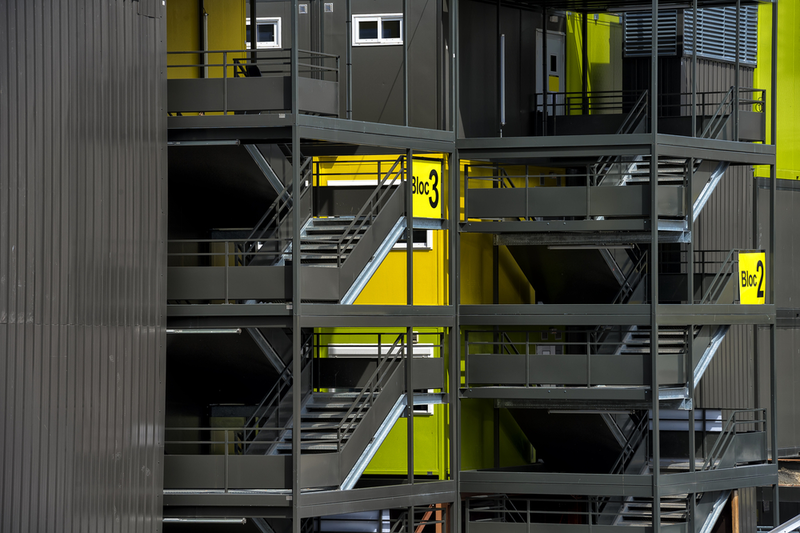 Here are few ideas of how shipping containers have been used for modern, cost effective buildings. The trend to build cost-effective homes from recycled shipping containers started in USA and has reached Australia. 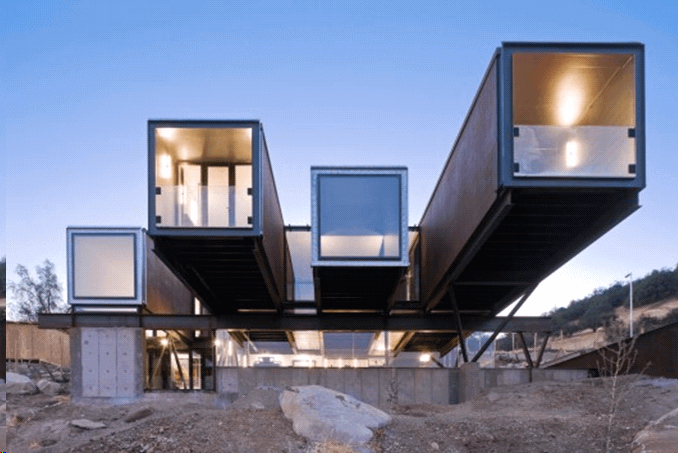 Architect, Tomokaza Hayakawa designed an art gallery in Japan using two shipping containers stacked on each other. Starbucks in Washington have used four old shipping containers to create an architect designed drive-thru store. A cafe in Footscray (Melbourne) called Rudimentary has been built using three 40-foot shipping containers. India has built a Polar Station in Antarctica using 134 shipping containers. They cover three floors and are well insulated for the weather conditions. A well-maintained Conex box can hold 75% of their original value for 25+ years. Every day, container ships transport goods all over the world on the international seas. A Conex Box (also known as Intermodal Container, ISO Container,Railroad Container, and certain Truck Trailers) is a large standardized shipping container, designed and built for intermodal freight transport. Conex Boxes can be used across different modes of transport. 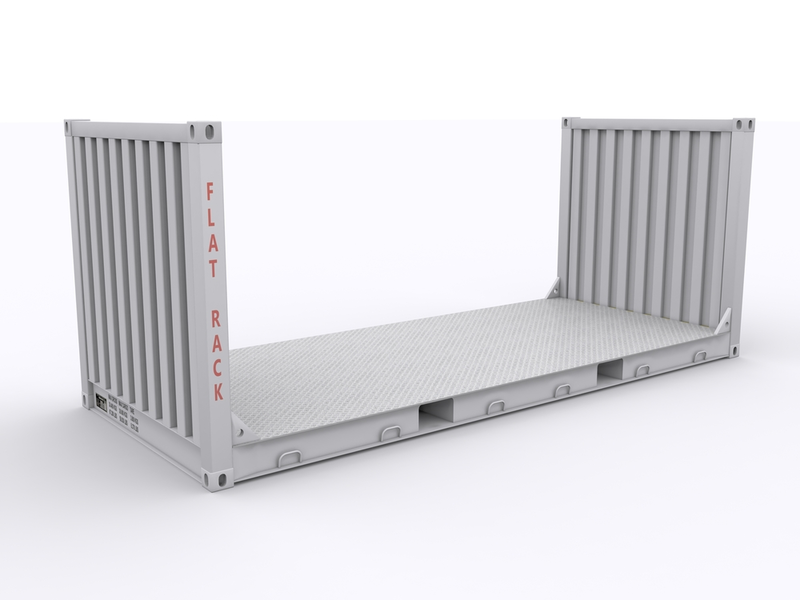 They can go from ship to rail to truck, without unloading and reloading their cargo. The metal doors on the shipping containers on these containers are standardized. Conex Box containers use the same type and style of doors and locking bars, which our tool can be used. Lengths are as follows: 20′, 40′, 45′, 48′, 50′, 53′. All these containers are globally used to transport cargo. The 53′ length is now, the new the standard length. Here are some likely reasons a Conex Box shipping container door will not open or close. Our tool helps to address these issues. Doors and lockrods may warp or container frame is racked so that the door gear will not operate correctly. This may be caused by cargo shifting during transit. Look at the container to make sure that the doors are aligned and level, both top and bottom. The hinge pins and blade are seized due to corrosion. The door gasket has been damaged and is preventing opening. Door gaskets are designed to present two or more fins against the structure or adjacent door. These are generally flexible but when the gasket is damaged, they may become hard or blocked thus jamming the door closed, or preventing it being closed. Water has become trapped between frozen shipping container doors, particularly relevant to refrigerated cargoes, or containers with moisture releasing cargoes in cold weather. Door Latch Handle Extender is a safety leverage bar to assist the truck driver and operator in opening ad closing shipping container doors. Great for opening shipping and cargo containers that are iced over! Tire Beater/Thumper assists the truck driver and operator in a quick method of evaluating properly inflated tires.